Werner Brandmaier, Dipl. Ing., has been practicing in the field of Geopathology for over 15 years. He is a native of Austria with a graduate degree in electrical engineering. Prior to his move to the US, he worked with Siemens, Inc. and consulted as a high-tech medical engineer outfitting Vienna’s largest university hospital, the AKH. 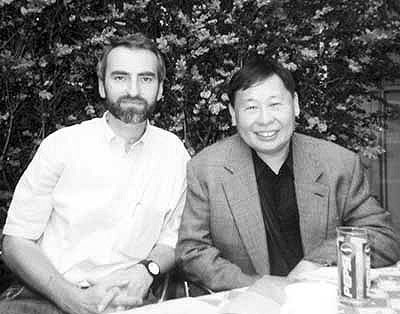 Werner studied Traditional Chinese Medicine, classical Feng Shui, and Geopathology with noted masters Raymond Lo, Roger Green, Lillian Too, Grandmaster Yap Chan Hi, Wilhelm Gerstung & Jens Mehlhase, MD, and Samuel Sagan, MD. He brings to his practice an integration of his technical knowledge in electrical engineering and resonant frequency equipment with the principles of Traditional Chinese Medicine and dowsing. 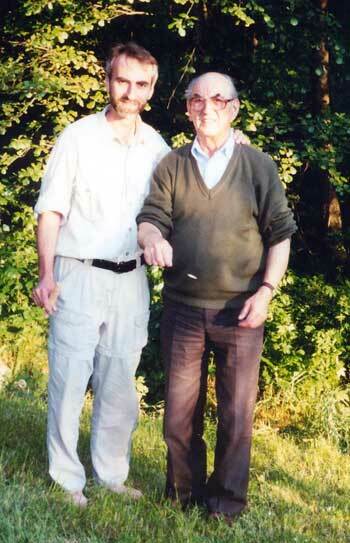 Werner also carries on a family tradition of dowsing and energy medicine. Werner Brandmaier, Dipl.Ing., a native of Austria and founder of the Institute of Feng Shui & Geopathology, comes to Feng Shui with a strong engineering background. He completed his masters in electrical engineering in 1983 and worked for more than ten years in the field of high tech medicine in one of Europe’s largest and best equipped university hospitals, the AKH Wien (General Hospital of Vienna, Austria). Over the past fifteen+ years Werner has studied with international Feng Shui masters Raymond Lo (Hongkong), Roger Green (Australia), Wilhelm Gerstung (Germany), Karen Kingston (England), Dr. Samuel Sagan (Australia), Lillian Too (Malaysia), Andre Pasteur (Switzerland), William Spear (USA), Denise Linn (USA), and many others. With his technical background, Werner’s personal interest is the clear demonstration of the effect of house and land energies on a person’s subtle system and the introduction of new protective energetic devices. Werner teaches seminars and is dedicated to spreading the message of Feng Shui, especially on the impact of subtle earth energies on our health and well-being. He is a member of the International Feng Shui Guild and the American Society of Dowsers. Werner also carries on a family tradition of dowsing and energy medicine.As a native of Austria, he grew up with a rich and progressive traditionin environmental consciousness.